Kane Ryan’s voice is soft. It is the tone of someone whose life experience has taken him to unimaginable places and who has had to speak to anybody or everybody. His skin is tanned and though he is in his early 30s, his soul is the one of an older man perhaps due to what his eyes have seen. As he talks about his journey, he keeps an eye on the bar of the Lost + Found Café, making sure that everything is running smoothly in Gastown’s philanthropic coffee shop. This is the story of a man who, after wandering around the planet for many years, realized he needed to do something … and he did it. Six years ago, Kane –with the help of his parents, Cindy and Todd Ryan – founded the Dirty Wall Project. This year the charity plans to send 74 children from the Saki Naka slum in Mumbai, India, to school, as well as to provide medical support and other projects to the community members. To understand Kane’s acute case of wanderlust (the strong desire to travel and explore the world), it’s necessary to go back a couple of decades to the time when Kane’s parents took a VW van, drove to Mexico and Central America, and spent a couple of years travelling around with 4-year-old Kane and his sister. “Those first few years of growing up traveling really set the pace to what I continued to do in my early twenties.” Upon returning to Canada, the Ryan’s, originally from Calgary, decided to settle down in Victoria, where Cindy and Todd started businesses, from a clothing shop to restaurants. When Kane turned 19, he left Canada and spent the better part of the next 10 years on the road, yet every year, his parents would close their restaurant for a month, take their daughter and meet Kane wherever he was. The family met in Brazil, Mexico, India, among many other places. “I love travelling but I felt I wasn’t doing anything of value, yet I didn’t want to come back to Canada because I wasn’t ready for Canadian life. I wanted to find a way to do something while I was travelling.” Kane found himself doing volunteer work in the fields of Argentina. He enjoyed it, but there was something about the experience that made him feel ripped off when he learned that the family that provided accommodation and food wasn’t compensated for it. “All the money I paid was going to the organization to supply me as a volunteer. I felt that if I had some money I could have a positive impact in small scale. I knew I wasn’t going to create a massive charity, but I wanted to do something,“ he explains. His opportunity to show what he could do came not long after. 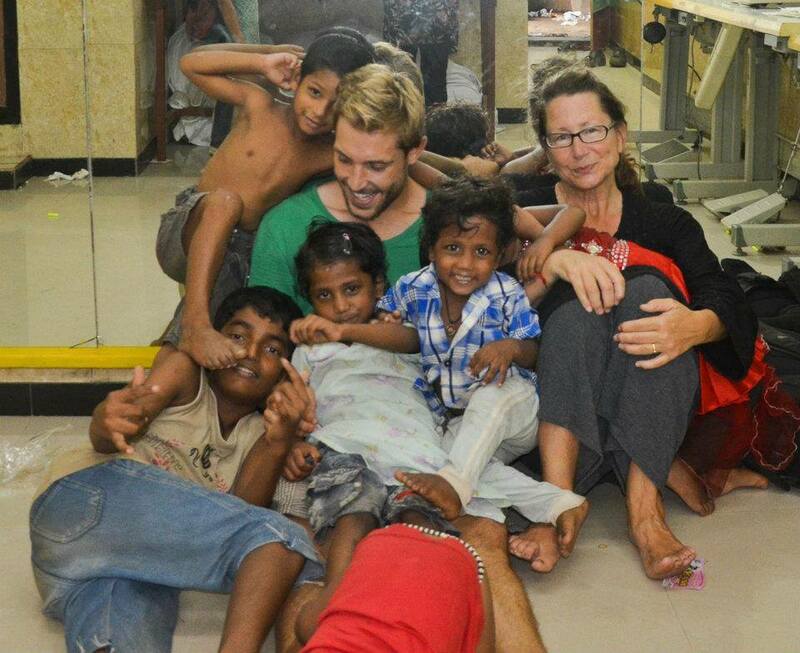 Kane was living in Mumbai, working closely with an orphanage when he found out it was going to be demolished. “I had all these photos of India and I thought about selling them and raising funds.” So he came back to Canada and spent the next few months doing fundraising and selling the pictures, but when he went back to India, the people running the orphanage had vanished. “I had all this money that friends, family and strangers had given me and I had promised to do something with it.” Kane started doing small things like random medical work or buying supplies for orphanages after spending a few days working with them. After a year, he found a man working in Saka Naka, a slum community in Mumbai, who was doing amazing things but getting himself buried in debt. “I started to help him and realize we could have a big impact there. After getting rid of the debt, we started building a school and running health programs. That’s how the Dirty Wall Project was born,” Kane remembers. Kane and his mother, Cindy Ryan – Director of the Dirty Wall Project – and children from the community. Kane found himself in Vancouver with not much inkling of what was the next step except other than it had to do with the restaurant industry as a fundraising vehicle for the Dirty Wall Project. After searching for weeks for the perfect spot, the current location of the Lost + Found Café caught Salomeh’s and Kane’s eye. The Chelsea Inn’s ground floor space had been vacant for over a decade and when the couple peaked through the window, the place looked nasty, “but it also was huge and interesting,” Kane adds. It was important for them to be in the downtown area, where problems are not as easy to ignore as in other places in Vancouver. The café is almost 2,400 square feet and it can be rented for non-profit and charity functions, plus a space in the back for meetings. Todd Ryan, and his wife Cindy, alternate living six months in the slums of Mumbai and two months in Victoria. The Dirty Wall Project focus is on doing small things. Things that might seem small from a Western perspective, but that might change the lives of hundred of children over time. The charity raises about $15,000 a year. This year the aim is to raise enough money to send 74 children to school. Interestingly enough, the charity has no overhead and no salaries to pay except to the locals it employs who benefit from a job. “We do other projects like taking the slum’s women to the beach. Women don’t get to leave the slums much; they live in tiny cramped areas. If they are lucky, they go away once every two years when they go to their homeland. But the majority of their time is spent within two blocks of their home. 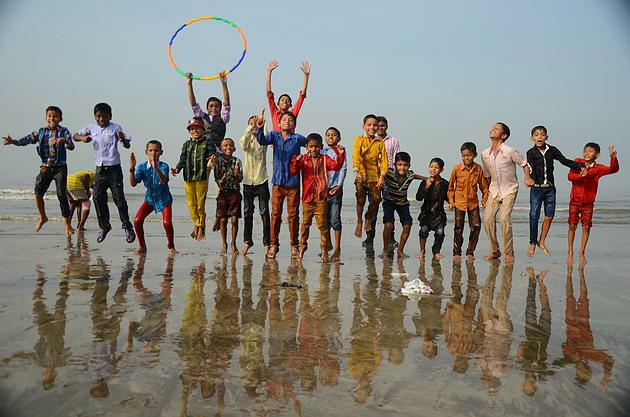 We got to take them in a bus to a beach in Mumbai, just for the day. It cost around $150, but it was such an amazing and joyful experience for them. It is so much fun for us. We get to see some genuine joy in people that have really tough lives,” Kane points out. “The biggest way is donations,” Kane says. “We need to hit the mark $15,000 each year to keep this project going. Most of our donations come from regular people that gives us $10-$15 at a time. So it is essential to get people’s contributions. For me, it is also very important that people know about my parents, who have been running the charity for the past 2.5 years, yet they don’t get recognized for their work. Not too many people retire and move to a slum for seven months a year,” he adds. Another way of helping is by visiting the Lost + Found Café in Gastown, sipping a nice espresso and acquiring some of the Saki Naka’s community handcrafts. 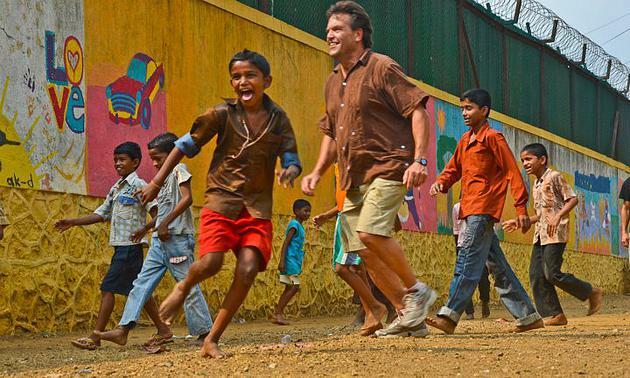 This year the Dirty Wall Project plans to send 74 children to school. Thank you for sharing this amazing story! Will definately be visiting the cafe – and promoting the space & charity! This is an absolutely beautiful story. You captured it perfectly Cristina!